Some artists simply work better together. You can easily say that about French DJs Arno Cost and Norman Doray, who collaborated on recent single “Together,” a flawless fusion of disco, house, and electronica that simultaneously sounds retro and modern. 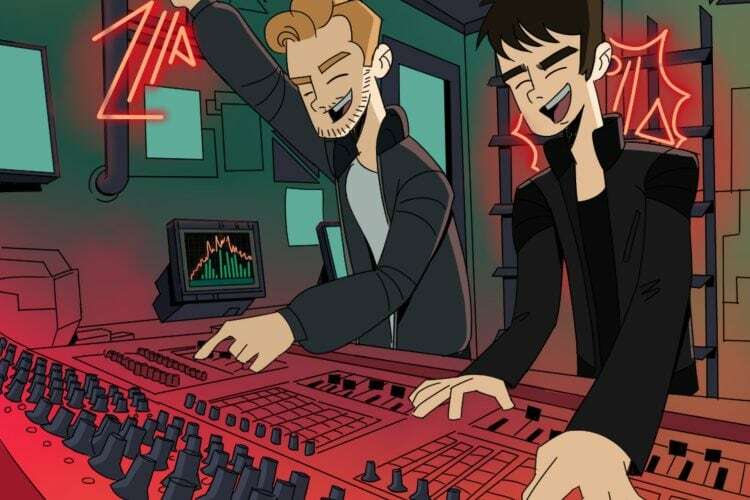 Yet, while the two have worked with other top-tier EDM producers, including Avicii, John Dahlback, and Laidback Luke, they’ve essentially become enmeshed. Both entered the scene under moniker The Freshmakers – a three-way collaboration among Cost, Doray, and Pierre de la Touche. Track “Let U Go” dropped in 2006, on label Serial Records. 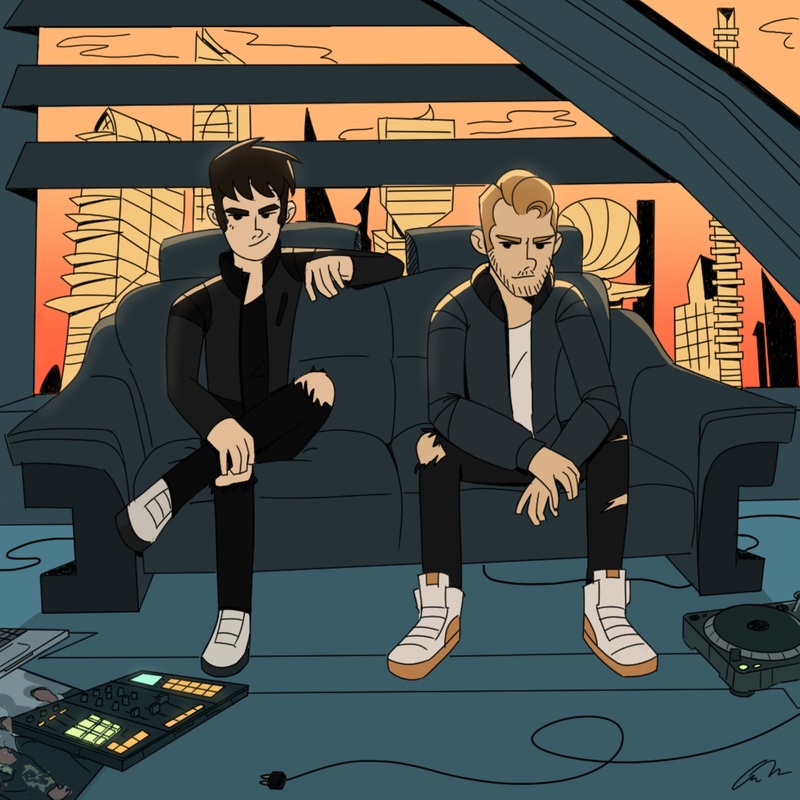 A year later, the two put out “Apocalypse,” and by 2012, they released “Trilogy” on Laidback Luke’s Mixmash Records. Over the past decade, their relationship further led to remixes for Ministry of Sound, Cr2, and Joia. Equal to the sum of their parts, Cost and Doray also firmly stand out as solo producers. Cost, for instance, was commissioned to remix David Guetta’s “Titanium” and Martin Solveig’s “Ready 2 Go,” while Doray has released tracks on Spinnin’ Records, SIZE, LE7ELS, Defected, Interscope, Strictly Rhythm, and Atlantic. While both of you have successful solo careers, what’s the story about your ongoing collaboration? What was the concept for “Together”? It sounds both modern – you could easily hear it in a festival set – and retro. When we make records together in the studio, we always try to come up with something special, totally original. Our influences are from rock to disco, but also the ‘80s. “Together” has this ‘80s feeling…Something that brings you back in the past, but with that slight touch of energy from today. How did you go about recording this track together? In between working as a duo and doing your own thing, how do both of you balance your careers? You both have collaborated with other artists, including John Dahlback and Avicii. Whether for yourselves or as a duo, who would you like to collaborate with in the future? Sometimes, you’re called the French Swedish House Mafia. How do you feel about that? We never heard that before, haha! Those guys have had a great success, but I’m not sure what to think about it, as we are not exactly making the same type of music. Festival season’s about to start in a few months. Where should we expect to see you? Festivals are great. Always a good way to gather with a lot of fans at the same time, but it seems we prefer small and sweaty clubs. Let’s see what is gonna be our 2019 summer! In terms of traveling to festival and club gigs, what items are your must-bring? On the road, what’s your approach for grooming? You both have a lot of experience, in terms of producing, DJing, and touring. What advice do you have for up-and-comers? Whether it’s your next release as a duo or your own solo releases, what should we expect from you next? We are currently working on more records together, so expect a busy 2019 from us!